Providing you the best range of kawaguchi injection moulding machine k280b, niigata injection moulding machine, hisiya injection moulding machine, negri bossi injection moulding machines, sumitomo injection moulding machines and toyo injection moulding machine with effective & timely delivery. 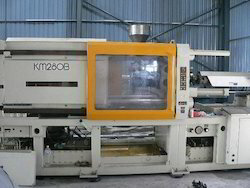 We feel immensely pleasant to offer an enormous range of Kawaguchi Injection Moulding Machine K280B that has very good working condition kept in a very clean environment; our offered machine is manufactured by using a quality raw material in accordance with industry norms. In addition to this, the given machine is passed through a series of testing procedures under the supervision of our quality controllers. Extremely recognize for its quality, our company is interested in offering a large array of Niigata Injection Moulding Machine. This collection is perfectly designed and developed by our team of professed engineers with utmost work. This range of injection moulding machine is used in sheet metal punching and forming machine parts. These are available in various sizes, capacity etc. We are leading manufacturer and supplier of Hisiya Injection Moulding Machine. It is manufactured using quality raw materials and latest technology. Furthermore, these products are checked on various quality parameters to ensure its defect-free nature. 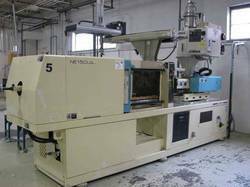 At neelgiri, you will find available best quality & ready Negri Bossi Used Plastic Injection Moulding Machines in India. Fabricated by our experts of manufacturing unit with the usage of innovative technology, we are providing Sumitumo Injection Molding Machines with 150 Ton. Our offered machine is manufactured by using a quality raw material in accordance with industry norms. In addition to this, the given machine is passed through a series of testing procedures under the supervision of our quality controllers. We offer this machine in various specifications to choose from. 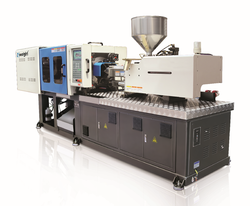 We are specialized in offering Toyo Injection Moulding Machine. Our offered machine is developed and designed with hi-end cutting edge technology at our state of the art premises and rigorously checked on various parameters to make sure its performance and durability. Moreover, it is available with us in various specifications. 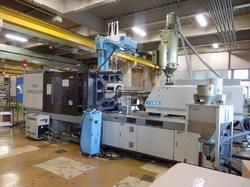 We provide used Toshiba 80 Ton Injection Moulding Machine. It is manufactured using top quality materials and latest technology and tested under various quality parameters. 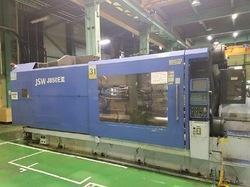 We at Neelgiri Machinery offers used JSW 100 Ton Injection Moulding Machine. We ensure the best quality and best after-sale services in Industry. 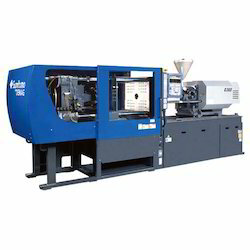 We offer a great variety of Nessei Used Injection Moulding Machines that we secure from such reputed vendors as Mitsubishi, Toshiba Machine, Toyo and many others. Our long-lasting, efficient and hard wearing machines find application in manufacturing units, plastic industry and automobile units. We also offer installation and maintenance duties for these products. We are the leading manufacturer of an excellent quality range of Plastic Injection Moulding Machine 130Ton. This machine finds its best usage to give patterns to different types of plastic injections. Our provided machine is well-manufactured under the supervision of our highly qualified specialists using the qualitative grade components and the latest technology. 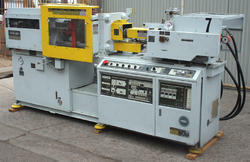 Looking for Used Plastic Injection Moulding Machine ?